Weaver birds are the architects of the bird world. They're a diverse group of similar-looking birds, resembling each other in size and plumage. They're difficult to identify in the field. 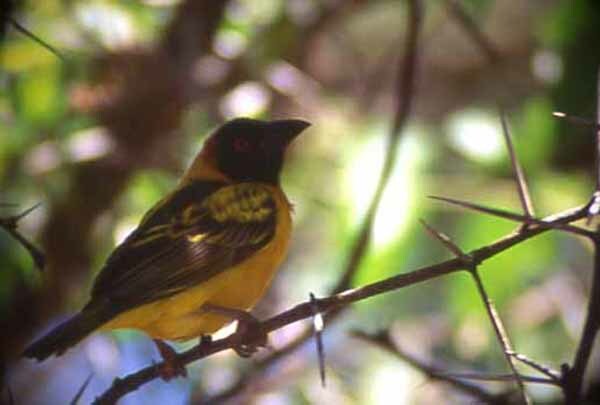 This individual, a male Black-headed Weaver (Ploceus cucullatus) was photographed foraging among thorny acacia shrubbery along the Mara River in Kenya. The female is less colorful.